Reworked versions of God of War and God of War II, featuring smoother graphics running at a faster frame rate, hit stores this holiday on a single Blu-ray disc, Sony Computer Entertainment announced this morning. God of War Collection will feature both Playstation 2 games running at 1280 by 720 resolution and 60 frames a second. The collection, which will cost $40, will also include trophy support for the games. 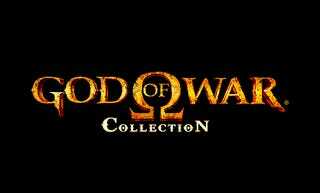 "We are excited today to announce God of War Collection," said Scott Rohde, vice president, Worldwide Studios America. "Our fans spoke and we listened; thanks to our partnership with Bluepoint Games, fans and newcomers to the series can experience the epic God of War and God of War II saga in stunning 720p on PS3. This Blu-ray Disc compilation brings Kratos to PS3 even earlier than expected." The collection comes just months before God of War III is scheduled to hit stores on March 2010 for the Playstation 3. The idea of a Blu-ray collection of the two PS2 games, which sell used for about $35 total at Gamestop, first came to light in April when a survey leaked about the notion.